We know the routine. You wake up in the morning, enthusiastic about your day and everything you’re going to accomplish. Wide-eyed and ready to tackle the world, you head over to the bathroom mirror, smile at your reflection, and immediately retract in horror at what you see. How did your teeth ever get so stained? Your smile says a lot about you. Is your smile welcoming and diffusing warmth? Does your smile represent the beauty and elegance that lies within? As time passes, your smile will begin to lose its brightness. Tooth enamel will pick up stains throughout the day, causing the whiteness to fade over time. Teeth whitening helps remove these stains through the use of a gel that is applied directly to the tooth surface. Don’t feel bad. You’re not the only one living with tooth discoloration. Millions of Americans wake up every day to two rows of yellow, darkened teeth staring back at them in the glass, and many are wondering how they can fix the problem once and for all. If you’re a smoker or drink lots of dark, acidic beverages like coffee on a regular basis, this can cause teeth to lose their natural color. Exposure to tobacco, certain acids, and heavy foods can ultimately make one’s teeth look yellow or even brown over time, and, combined with poor hygiene, the problem can become even harder to tackle. Sometimes, however, it’s simply the aging process that can cause teeth to look stained or dark in some way. As we age, it gets harder to keep up a natural radiance or glow, and everything, including our teeth, begins to fall into disarray. Suddenly, our teeth and gums are more vulnerable to problems ranging from gum disease to gingivitis and tooth decay. 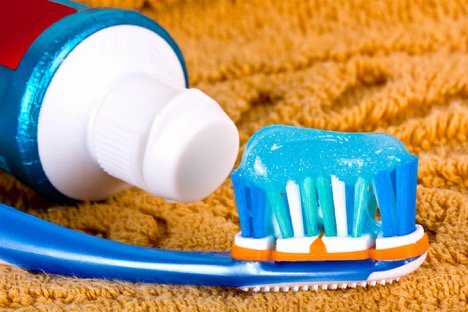 It’s a natural part of the aging process, but you certainly don’t have to stand for it, and there are steps you can take to make sure your teeth always “get their shine on,” no matter how old or tough the stains get. 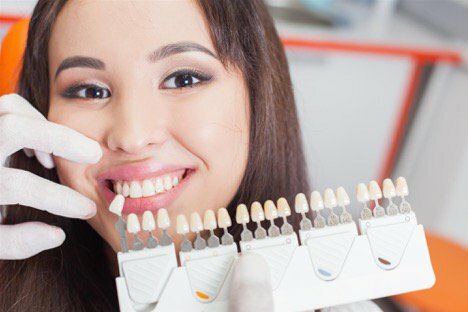 Teeth Whitening in Mountlake Terrace: Allow Us to Brighten Your Smile! One of those steps is a simple teeth-whitening session from Emerald City Smiles. Our tooth restoration specialists have been giving people brighter smiles for years, and now we’d like to do the same for you. Teeth whitening helps remove these stains through the use of a gel that is applied directly to the tooth surface. Often referred to as “bleach” or “teeth bleaching,” the whitening process works to deeply infiltrate the enamel of your teeth and tackle any tough stains that aren’t immediately removed with standard brushing. A special peroxide gel is applied to all corners of your teeth, which begins loosening up all those hard-to-fight stains that have accumulated over the years. A specialized light then activates the gel, allowing it to bleach the teeth. It’s easy, and it gives you a much more attractive smile that you can show off with confidence! No more “lip-smiling” at parties or social events; no more having to find excuses to hide your mouth whenever you speak, and no more having to feel bad about yourself whenever you’re in public. That’s no way to go through life, and, luckily, you don’t have to stand around feeling down about your smile any longer. We offer a safe, cosmetic solution to “pearl up” your pearly whites! A Healthy, White Smile Is Right Around the Corner! At Emerald City Smiles, we understand how important your smile is to you, which is why we take extra care to ensure that you leave with the best smile possible. Give us a call at (425) 775-3446 to schedule your free consultation. Our dental experts are here to give you the radiant smile you’ve always deserved. A darkened smile doesn’t have to put a damper on all your social excursions, so call us today!